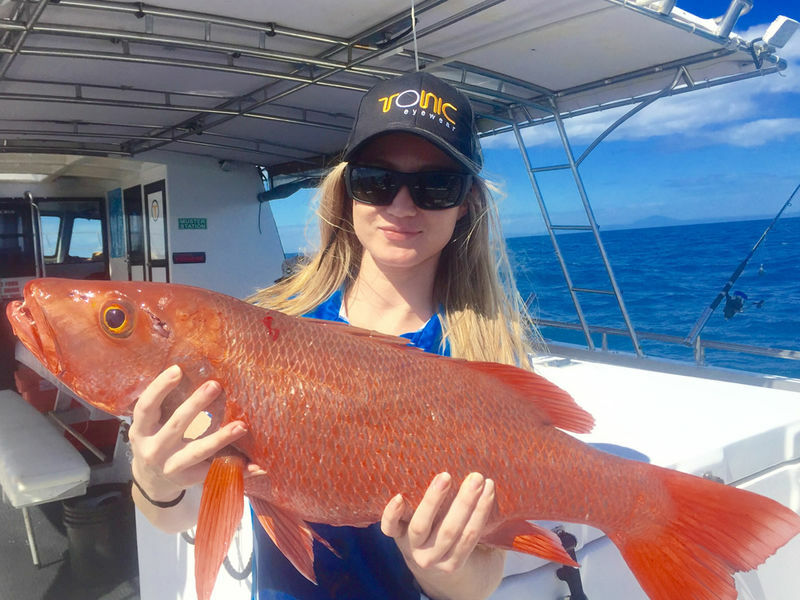 Cairns and Queensland’s Tropical North offers anglers such a diversity of Fishing Styles and Target Species it’s a hard decision just making up your mind what to go after. From Lure & Fly fishing our magnificent jungle clad rivers to Heavy Tackle blue water Sportsfishing, chasing 1,000 lb black marlin out from the Great Barrier Reef. Targeting such species as Barramundi and Mangrove Jacks, Trevally and Queenfish, Red Emperor and Coral Trout, and even huge Marlin and Sailfish. This region has it all!! Commonly called “Bottom Bouncing”, reef fishing involves using heavy 60-100 lb handline or rod techniques to target such prized eating fish as Coral Trout, Red Emperor and Nannygai. This style of fishing ensures a great day on the water and gives the angler the best possible chance to catch these superb fighting and tasty fish. Imagine fishing the upper reaches of this pristine environment where up to a dozen species can be pulled from the one snag. Sound tempting? Only 5 minutes from the heart of Cairns lies Trinity Inlet, with over 90 kilometers of winding waterways surrounded by lush greenery, rainforest clad mountains (World Heritage listed), and one of the worlds most diverse and productive ecosystems, the mangrove forest. Within an hour and a half drive from the city of Cairns flow some of the finest tropical waterways to be found anywhere in the world. 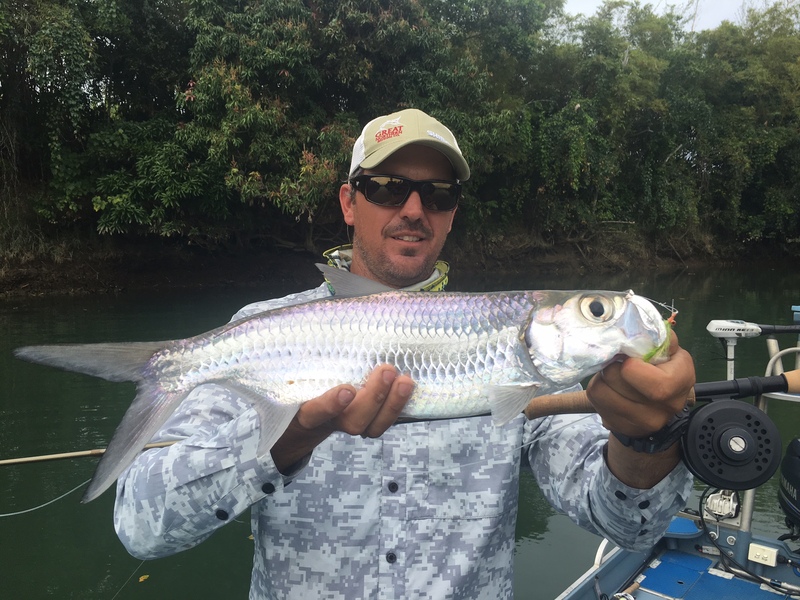 The world renowned Daintree River to the North, the equally impressive but lesser known “twins” the Russell & Mulgrave Rivers to the south, as well as the North & South Johnson Rivers and Mourilyon Harbour are all fished regularly by local charter Guides. 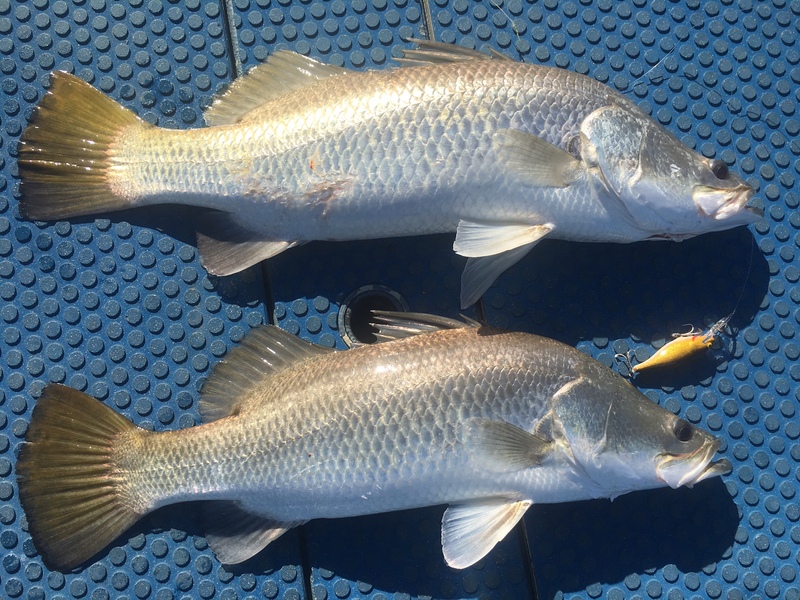 These tidal river systems offer excellent fishing opportunities, their physical structure, sand bars, rock holes, weed beds and gutters can yield some surprising light tackle sportsfish. 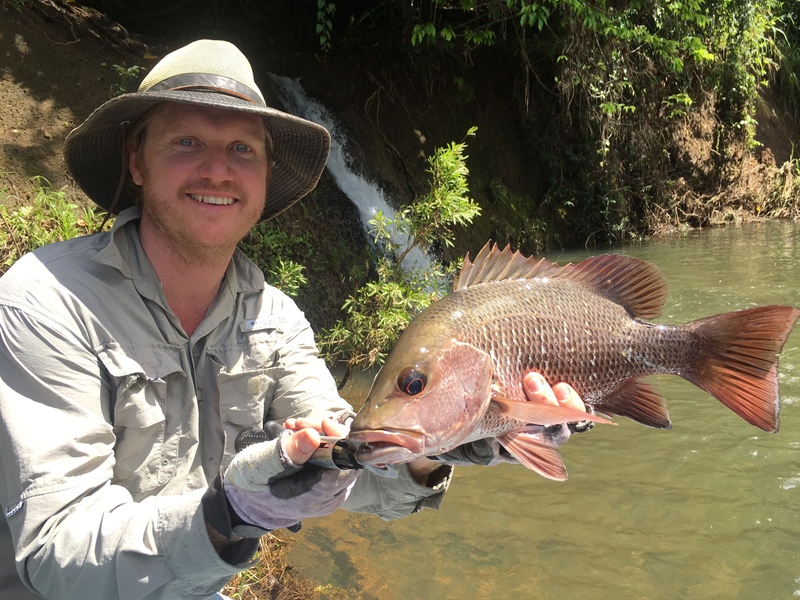 North Queensland is rapidly getting an international reputation as being THE hot spot for Salt Water Fly Fishing. Whether your bag is wading along a secluded white sandy beach, sight casting to schools of golden trevally; to deftly placing the “pink thing” on the nose of a prime silver salt water Barramundi hiding amongst the mangrove roots, to the ultimate thrill of landing a billfish on fly, our region can deliver all of the above and lots, lots more. 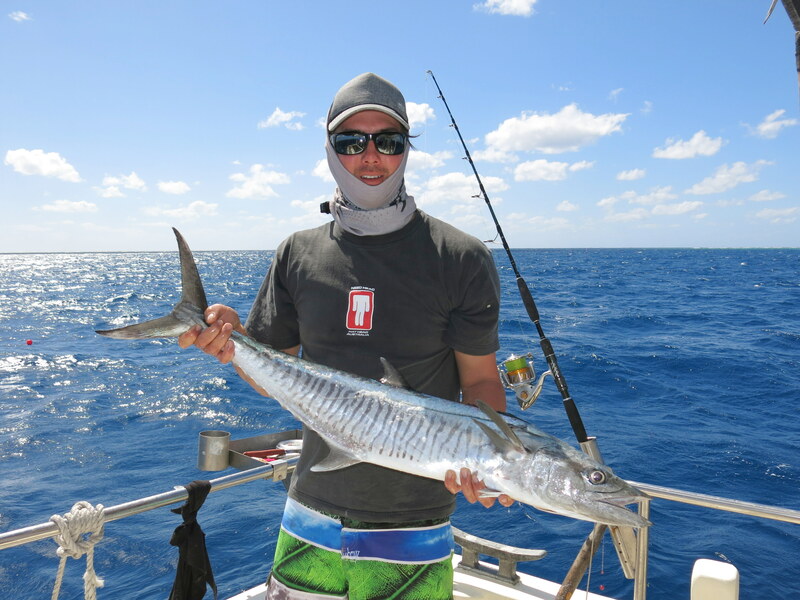 The Cairns section of the Great Barrier Reef has an incredible array of light tackle Sportsfishing options, with almost every species of Pacific gamefish inhabiting the plankton and baitfish rich waters adjacent to the reef and continental shelf. Imagine trolling rigged baits or deep diving minnow lures for the likes of Wahoo, Spanish Mackerel, Yellowfin Tuna, Dolphin Fish (Mahi Mahi), Barracuda, Scaly Mackerel, various Trevally and Sailfish. On the right tackle, 12-20 lb test, these tropical speedsters offer exceptional Sportsfishing opportunities. The mere mention of the name Marlin conjures up a vision of this most splendid of creatures, glistening and shimmering through the air on a gigantic leap from its blue ocean home, thrashing the ocean surface trying to throw the hook..
North Queensland has long been recognized as the Black Marlin capital of the world with the area stretching from off Cairns, north to Lizard Island the envy of many fisherman. 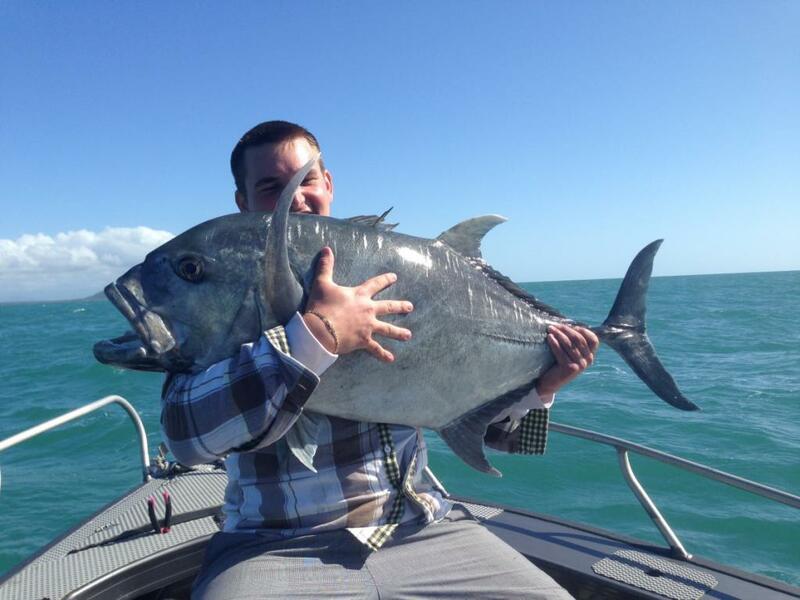 Cairns is regularly rated the number one gamefishing region on the planet.